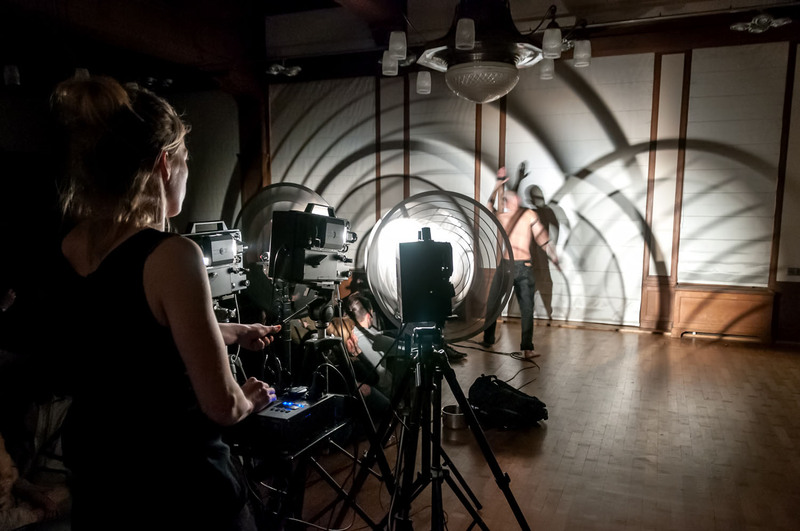 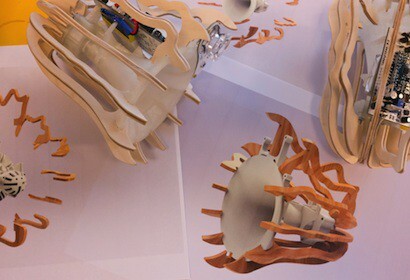 In this project Dieter Vandoren and Mariska de Groot present a special collaboration wherein they integrate their respective expertises in embodied performance and analog machinery. 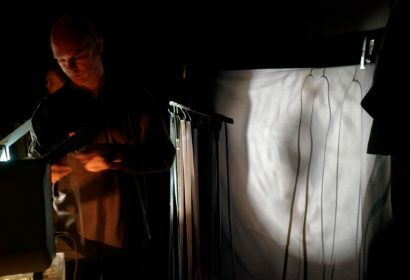 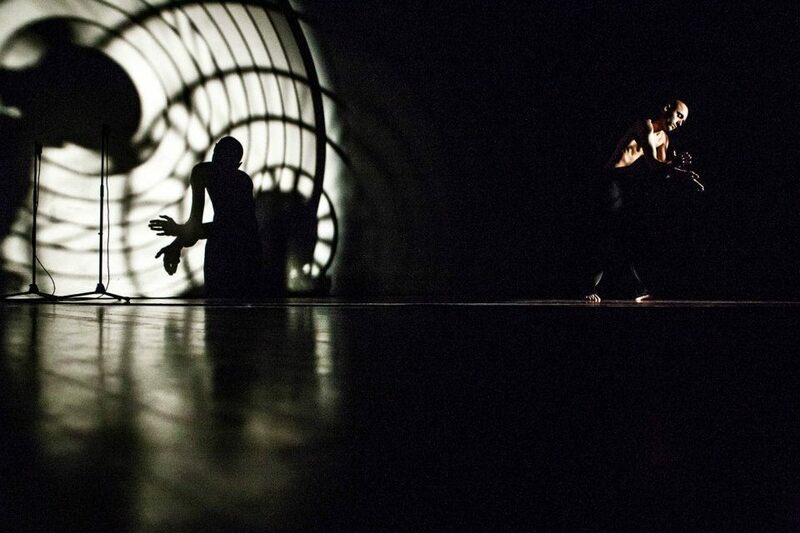 Dieter Vandoren develops and performs audiovisual instruments with a strong focus on embodiment. 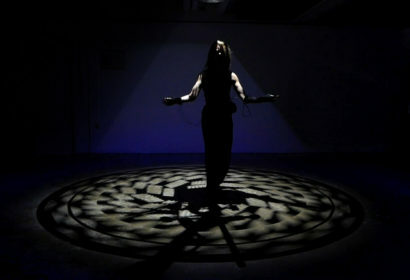 He creates intricate interactions between the human body and the digital synthesis processes, taking cues from acoustic instrument performance. 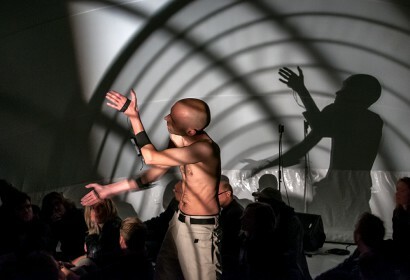 His works take on immersive architectural scales as to engender equally strong embodied experiences in the audience as in himself, the performer. 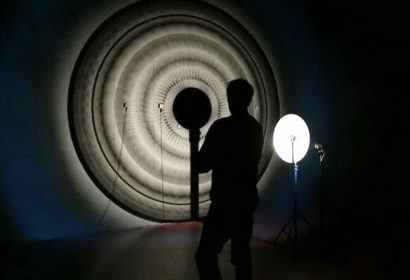 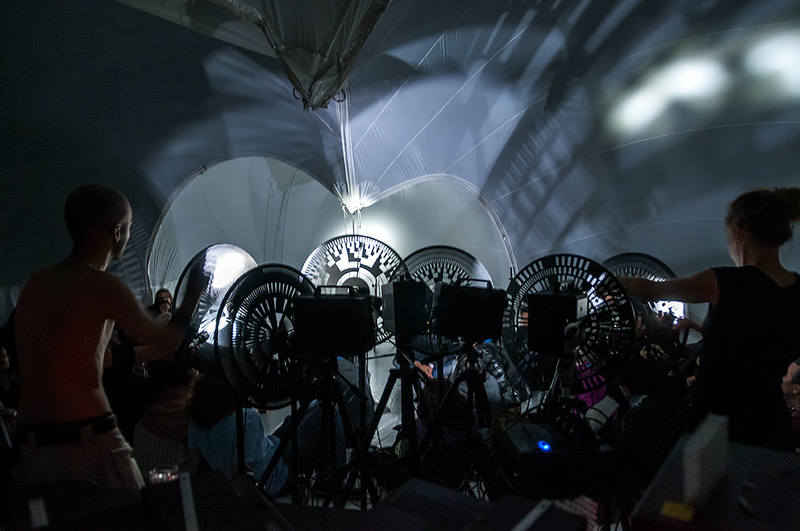 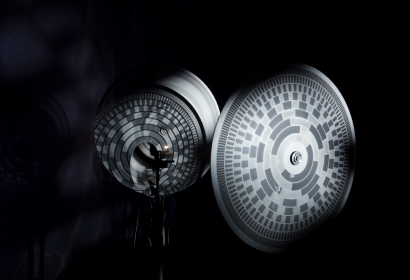 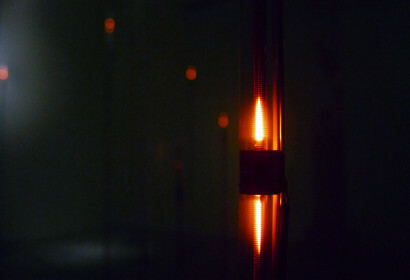 Intrigued by the phenomena and history of optical sound, Mariska de Groot makes and performs comprehensive analog instruments and installations which immerse audiences in room-scale light-to-sound apparatuses. 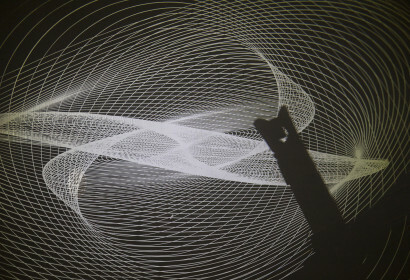 The constructivist projections and subtle, raw sounds excite abstract cinematic experiences. 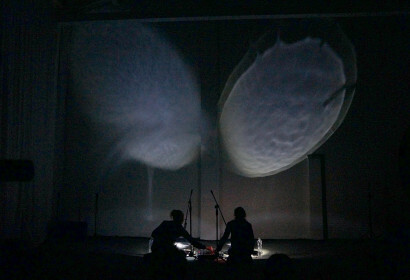 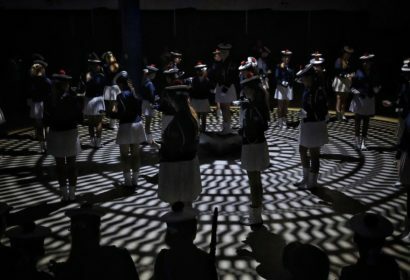 In this piece they make optical sound into a physical performance. 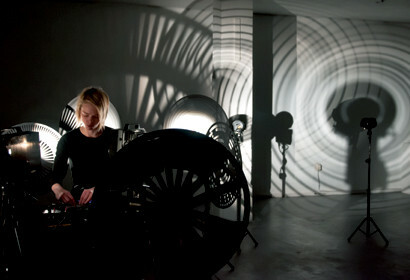 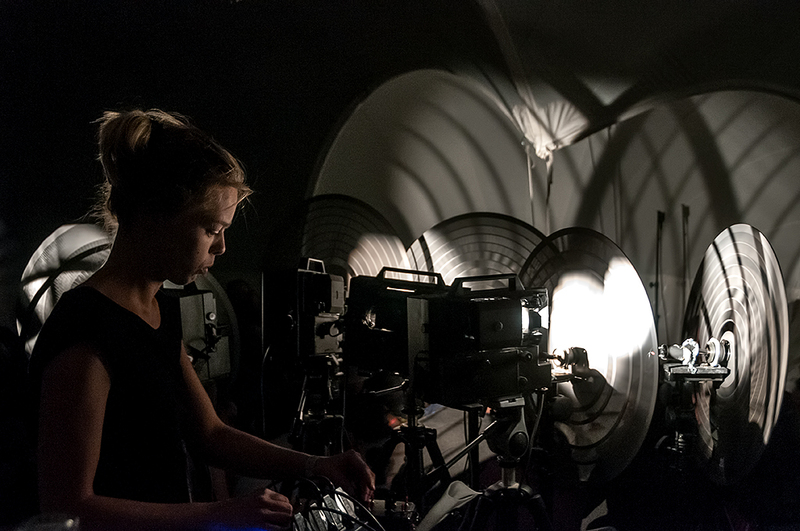 Mariska is shooting beams of light coded by graphical patterns engraved in motorized wheels. 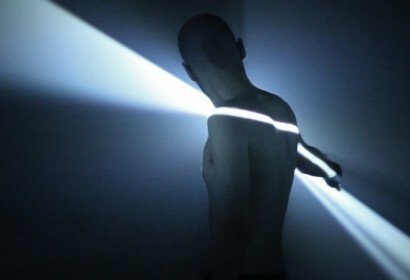 Dieter wears light sensors on his body, composing a live sound piece by catching fragments of the rotating light-shadow patterns with them. 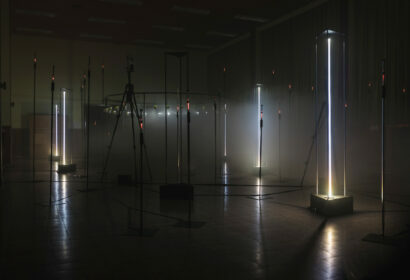 When touched by Dieter’s body the music hidden within the monumental constructivist structures reveals itself.